The “ice Event” is upon us on Saturday Feb. 16th…. yes it’s coming…. The “ice Event” is upon us on Saturday Feb. 16th…. We need all of your help to make this another great day for everyone… The plans are really in progress with just a few things to wrap up and get organized before the day arrives. First things…. next meeting is on Jan. 31st at 5:30 at the Flat Creek… If you can make it THIS is the day to come share your thoughts, food, and ideas to get things wrapped up for the event. Ed and I will pick up the building, gas tanks, stove on Thurs. (Feb 14th) and will be setting up on Fri.(15th at 9:00 am)… if you can help, let me know. Wayne will also be setting up his fish station… we can help him too!! Wayne is updating our big posters… big job! thanks so much… they are really nice display pieces at the site and out by the road. 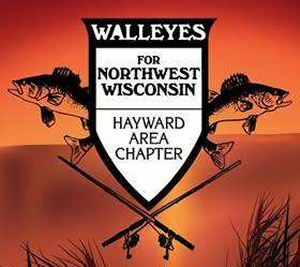 New mission statement written and approved, reads as follows: Walleyes for Northwest Wisconsin is a volunteer non-profit organization dedicated to conservation practices and programs involving youth, families, and community. WFNW seeks to accomplish this by funding projects to improve our fisheries through stocking, habitat and water quality programs and working with the WDNR to provide quality fishing now and for future generations to come.